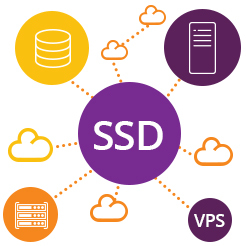 VPSs are virtual servers that integrated SSD technology to provide a much faster load to our customers websites and online stores, regardless of its complexity or the number of registered products. This service is customized for each client and provides a much higher performance of the website. Stability – the customer benefits from all the stability and security needed in order to be able to develop successful online businesses. Consulting – we provide 24 x 7 consulting services to all of our customers and we answer all their questions to make sure that, in the end, the customer chosses the package that best suits their needs. Speed – spped is important to both proper functioning of the website and to transfer files or recover data is a problem occurs. Control – the customer is in full control over the server and decides how to manage it.